"Why can’t I try on different lives, like dresses, to see which one fits me and is most becoming?" While Sylvia Plath’s life was short-lived, her accomplishments were immense, and two college archives now house her writings and valued possessions. Raised in an era when women were taught and expected to be subservient to men, Sylvia wanted more. She seemed to have all that anyone would need to succeed and be happy; however, something was wrong—seriously wrong. As she reached out for help in her time of desperation, Sylvia found a mental health system that was itself troubled and desperate for change. Although the system helped, it also traumatized her. While little was known about posttraumatic stress at the time, Dr. Fournier argues that it became a major factor in the life of this Golden Lady. 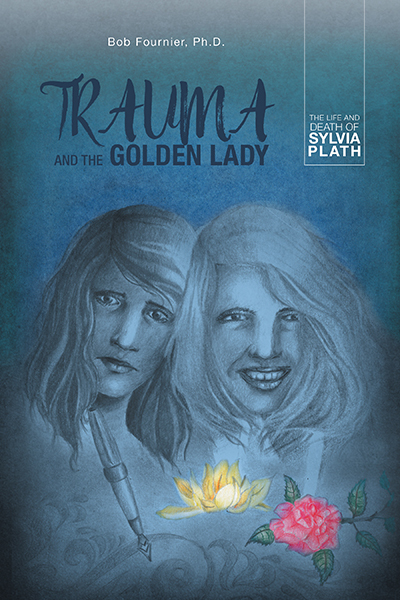 Trauma and the Golden Lady shows what it is like for a person to struggle every day to keep their demons at bay and stay sane, while living with severe mental health problems. Over and over, Sylvia worked to perfect herself and avoid falling into a bottomless hole of nothingness and despair. With passion and a heavy heart, she focused on both these goals until the very end. Ultimately, Sylvia Plath’s personality development and life struggles, along with the effects of the trauma events she experienced, contributed to a suicidal movement that led to her death. While Sylvia’s demise left a wake that affected the lives of many, helping some and hurting others, she was truly a woman to be known and remembered. Your comments and reviews are greatly appreciated. Please visit GoodReads or Amazon to leave your review. Thank you!